Helical piles, sometimes called helical piers or helical anchors, are underpinning deep foundation elements for soil stabilization and foundation needs. 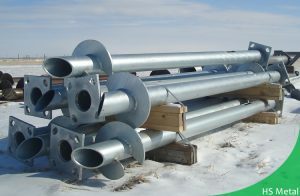 Helical piles are manufactured from extra strong steel shaft and helical steel plates. 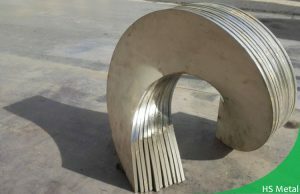 As factory – manufacturer, we are able to produce various types of lead sections for the pile or anchors shaft and varied size of helical steel plates, which means the steel grade, length, thickness, diameter of the pile shaft and number of helices, their diameter, pitch angle, steel plate thickness, position on the pile shaft can be customized according to customers’ drawing or sample. There are solid square shaft helical piles and hollow round shaft piles available. They both work well upon choosing the suitable type according to project ground conditions. The shaft consists of helices, number of which is customizable according to soil conditions. When project need combination of square shaft and round shaft, bolted coupling will join these segments which also within our manufacturing capability. 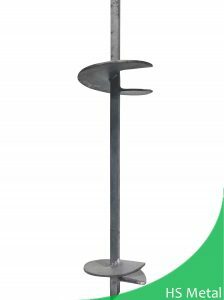 The helical piles have large tension and compression capacities. They are used extensively, from underpinning to earth retention, tieback systems, deep foundation, residential and commercial building where fast installation is required – no excavation. 5. 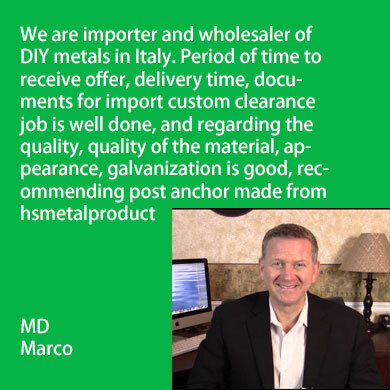 Reliable – worldwide customers would recommend us as reliable partner. 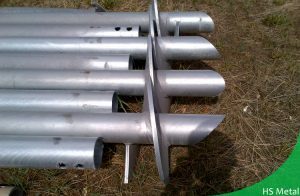 For foundation, we also produce ground screws which are applied for ground mount solar installation, housing, carports etc.